Original Raceposter Rallye Portugal 1992. Juha Kankkunen and Juha Piironen driving Lancia Delta HF Integrale. Martini Racing. 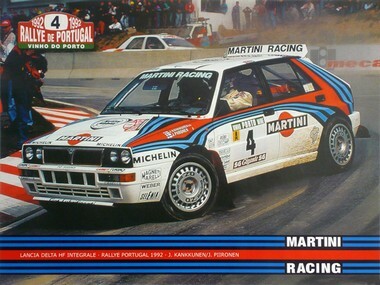 Do you have a question concerning our product 'Original Raceposter Rallye Portugal 1992 Lancia Delta Integrale' ?